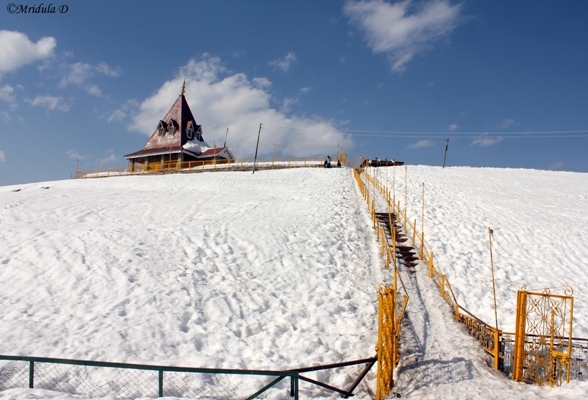 There is a temple at Gulmarg next to the golf course. And the local people will point out that temple and say that is the temple where ‘Jai Jai Shiv Shankar’ song was shot. When I went back to the hotel I searched for the song and agreed that it indeed is the same location but in summer. First let us have a look at the golf course in March. 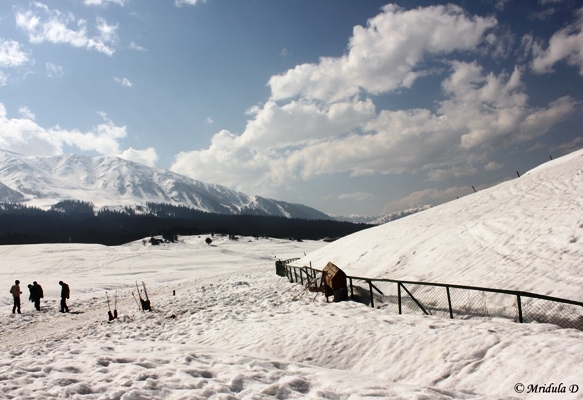 When I went to Gulmarg I had not done much research and I was surprised to see so much snow in March! I certainly didn’t expect it. And I can only imagine how this will be in May! I was asking the Khyber’s manager Mr. Koshi if there would be flowers in May here? He said, “The name suggests it! Gulmarg, the place is full of flowers.” I wonder how such obvious association escaped my notice. Gul means flowers after all! I hope to see it when the flowers are in full bloom one day. You can see how much snow there was! I mercifully didn’t slip at all because of my hired electric blue snow boots, I will post a picture mine in them sometime! The railing was also great, I would grip it with all my might and it helps in keeping in balance and me not slipping on the snow. 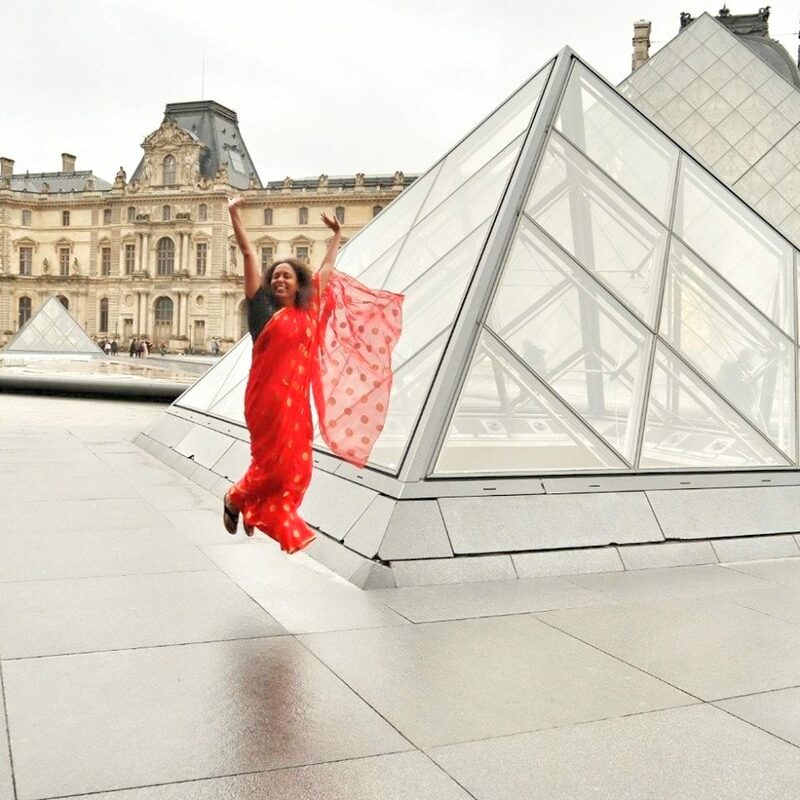 This was certainly one destination where the journey was more fun! Given the amount of snow it is no wonder that the place is so popular with skiers! There is another song Hum Tum Eak Kamre Mein from Bobby which also has a Gulmarg connection. I visited the Highland Park Hotel as well but only their restaurant and the bar. They are very popular with skiers and are probably one of the oldest hotels in town!